On the Avenida del Puerto in Havana shouts of "Cuba Si, Castro No! "and "Freedom!" 20 years ago today, a thousand Cubans marched through the streets of Havana chanting "Freedom! "and "Down With Castro!" They were met with brutal repression, including regime agents shooting at unarmed demonstrators. Little has been reported on this, but the images and sounds remain. After things were under control the dictator Fidel Castro appeared on the scene and opened the borders. Before that announcement fleeing refugees had confronted snipers and grenades. The end result was another mass exodus of Cubans. It appears that the Associated Press for example has had other priorities than to report on this important anniversary and its significance for Cuba. Over the years numerous journalists have been expelled from the island for accurately reporting on the situation there but Andrea Rodríguez doesn't seem to have that problem with the Cuban dictatorship. For example the Associated Press didn't have time to report on the Maleconazo because it was on its third major "story" spinning news in a favorable light for the Cuban government that has met with skepticism in some quarters in Cuba. Five hundred of the Cubans had arrived at the Havana sea wall (El Malecon) to board a launch that was rumored was going to be taken to Miami. These people were not seeking to overthrow the dictatorship but did want to live in freedom. They were met by the Castro dictatorship's state security agents using force who told the crowd to disperse. Instead of diffusing the situation another 500 Cubans joined in and they began to march along the Malecon chanting "Freedom! "and "Down With Castro! After marching for a kilometer, a hundred Special Brigade members and plain clothes police confronted the protesters. What is amazing is that 20 years later and the full details of what transpired remain unknown the pictures of regime officials pointing their handguns at the demonstrators combined with reports of the sounds of gun shots and wounded protesters have echoed down through the years in anecdotal stories about that day. Then came the year 94 One hot August of that year's day, I'd arrived at my mother in laws home in Cuba and Chacón in the heart of Old Havana, near the Malecón, for that reason alone, after visiting my mother in law, I sat , like many, on the wall of the bay, very close to where still today the famous Casablanca launch travels in and out. That year was turbulent, constantly talking about boats diverted to Miami, and the tugboat. Maybe that's why the special brigade trucks arrived and attacked all of us who were sitting. Our response to this aggression was only to clamor for freedom. It has been said that we threw stones; but all that is a lie, the truth was that we were tired of so much aggression and without agreeing to we began to walk together screaming, Enough, Down with the revolution ... And before reaching Hotel Deauville, a battalion waited for us that attacked us with sticks and iron rods. It was they who made the big mess. They broke my left eyebrow and left me semi-lame. Yes, there were assaults and the aggressors had guns, but not among the civilians. One of the boys who went with us, who was called the Moor, even while handcuffed, they shot him in the torso and it was a miracle that he did not die. Who do you think paid for that? No one. They put us in a truck where they received us with beatings only to convince us to scream "Viva Fidel." They took us to the police station located at L and Malecon. Hours later I was taken to Calixto García hospital. There they attended to my foot and I treated the eyebrow wound; the medical certificate, never appeared. From there we boarded another bus and were taken to the prison 15/80, I could say "kidnapped" because nobody knew where we were. Some kids and nephews of my dad, who were with us, were released immediately. A boy could not take it and ended up hanged. No one learned of this; but we are many the witnesses who know what really happened that August 5th 1994, the day of Maleconazo. 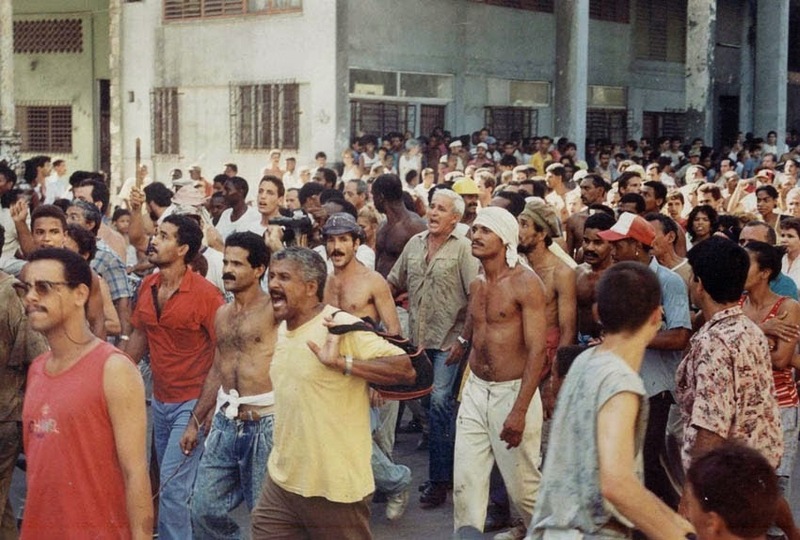 Twenty years later and the Castro regime remains firmly in power terrorizing, beating, torturing and murdering nonviolent dissidents, but at the same time the dictatorship's state security apparatus has been extremely effective at using its agents of influence to downplay its brutal nature and distract international attention. For example on the 20th anniversary of the largest anti-Castro uprising in the past half century there were only two stories referencing the Havana uprising of August 5, 1994 and sixteen that mentioned the Maleconazo compared to 12,600 results for USAID and Cuba thanks to the Associated Press and its well timed release of this questionable story. 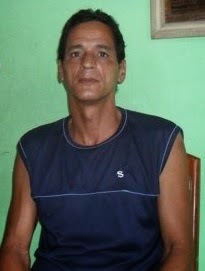 Oswaldo Payá Sardiñas, who it appears was extrajudicially executed by state security agents along with Harold Cepero on July 22, 2012 less than a year earlier on September 20, 2011 had videotaped his interview with Andrea Rodriguez of the Associated Press and released it because he believed that what he had told her was not fairly reflected in the article she had written.He provided a transcript along with the video below of the interview. It is still extremely relevant today. "Where in the world does a woman dressed in white walking down the street constitute a provocation? Only in a fascist-communist regime like this. Therefore the victim gets criticized because no one dares to criticize the executioner. 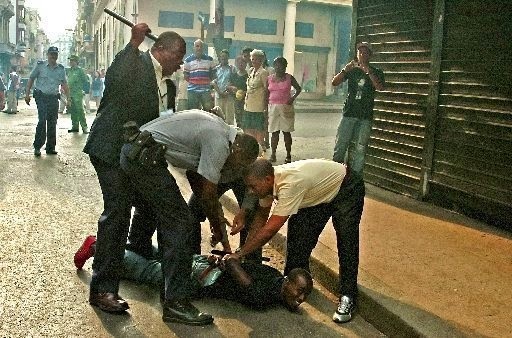 There is a real “moral inversion,” in what the foreign media, intellectual circles, ecclesiastical circles, diplomats and politicians are doing against the people of Cuba and against the dissident right now. They judge the persecuted, the poor, those who are silenced, but they do not dare to judge the government. And what the government needs to be told is what we say in “the People’s Path”. Hold free elections; change the law so Cubans can express themselves, so they can choose. But what they want is to keep their privileges while they say that everything has been agreed upon. This joke will go very wrong because the people of Cuba are not stupid, and the majority are still poor and distressed. But the worst is that the foreign media, intellectual circles, ecclesiastical circles, and entire states are accompanying the Cuban government in setting up this fraud, this joke that will bring only confrontation and pain to Cubans, and that is keeping the majority of the Cuban people silent and gagged while this virtual scenario for change is being created. We are trying to draw attention to this but also demanding and saying that, after 52 years of totalitarianism, we want what all peoples want: freedom, rights, and free elections. The opposition is focusing on that direction: fundamental rights so citizens can organize and express themselves, and free elections." Today, as we observe this historic cry for freedom on the streets of Havana, Cuba that was heard around the world. We must remember that it was due to the courage of those who succeeded in video taping and photographing what took place and getting it out to the rest of the world. 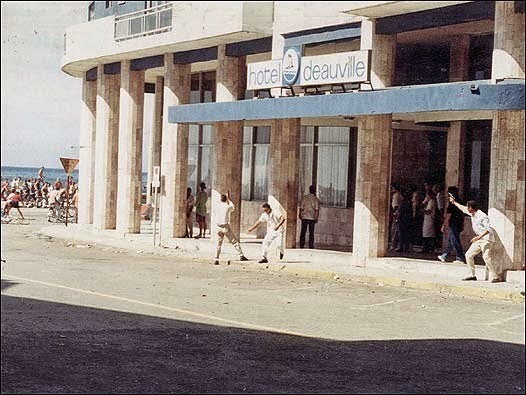 What is worrying is that 20 years later reporters preferring not to be expelled from the island might think twice before documenting and reporting on such an important story. Instead it is left to independent dissident journalists, who risk prison, to report on what is really happening including breaking the story on the first cholera epidemic since colonial times in Cuba. The independent journalist who broke the Cholera story was imprisoned for seven months and recognized as an Amnesty International prisoner of conscience. Twenty years later the spirit of freedom lives on in Cuba and one day Cubans will win back their country and their freedom from the dictatorship currently in power despite what the Associated Press reports.